BulkAmmo.com is giving away ammo! Check out the Bulk Ammo site for details on what you need to do to enter the contest. Hope we end up with some free ammo. If we can’t, then maybe you will win it? Apparently, the brilliant politicians in Washington, DC have decreed that the original infringement of firearms registration was not enough. Now, as of January 2, 2o14, residents are being forced to pay $48 to renew their registration. This new, three year registration is meant as a means to locate those people who were once legally “allowed” to possess firearms, and now have something on their record that would disallow them from their Constitutionally guaranteed rights. Something troubling about this entire situation is the Washington DC Metropolitan Police Department estimates that there are at least 30,000 gun owners in the area. Of course, this is only 30,000 law-abiding gun owners. Then again, if you have records of registration, shouldn’t the Police have a better idea as to how many there are? You can read the Washington Times’ story, here. What are your thoughts on this encroachment on our rights? (January 2, 2014) – Magpul Industries announced today that it is relocating its operations to Wyoming and Texas. 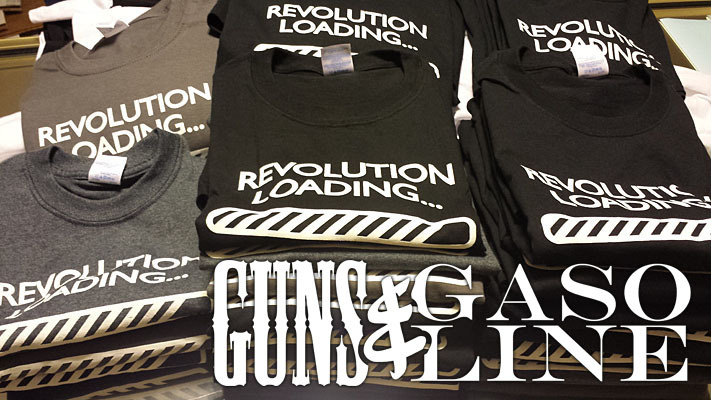 We teamed up with Dean Garrison from The D.C. Clothesline to offer this new design. Feeling it was time to open the eyes of more citizens of our fair nation, this shirt should get conversations started and let you discuss the current state of the Nation. Available in multiple colors, men’s cut short and long sleeve, women’s cut, hooded and non-hooded sweatshirts, you are sure to find the right style for you. Shop our online store to order yours, today! Mark Kelly AR-15 Purchase Cancelled! Diamondback Police Supply, the Tuscon, Arizona gun store that sold former Astronaut Mark Kelly the controversial AR-15 has cancelled his order. Due to Mr. Kelly’s lying on his form 4473 regarding his intent to purchase the rifle for his own personal use, when in fact he was planning on turning it into the Tuscon Police Department upon delivery. A full refund was issued by check through an express mail delivery.